# 31 Condo est un paradis pour les familles avec enfants, couples et personnes âgées. Sur le côté calme et privé de Retreat Rum Point. KING BED nouvellement meublé dans le maître, LR canapé-lit et des sièges confortables, literie, ventilateurs de plafond, 4 Twins dans Second Bdrm pour plusieurs combos lit. Nouvelle TVHD intelligente avec Netflix (apportez votre ID & PW). Grille de propane privée pour votre usage seulement. Nous améliorons constamment !! Juste à quelques pas de notre condo, vous pouvez nager / tuba / bronzer de notre plage calme protégé. Lire l'ombre des arbres sur la plage si vous avez besoin de protection solaire. Petit déjeuner sur notre rez de chaussée projeté Lanai regardant la mer des Caraïbes. Monde tuba classe ciel pour les débutants / avancé tout de notre plage / récifs voir des tortues, des raies et des bancs de poissons tropicaux. Délicieux dîners au barbecue sur la plage, dîners gastronomiques, boissons tropicales juste à côté au Rum Point Club, rempli de musique douce des Caraïbes, des hamacs et des perroquets. Red Sail Sports (juste à côté) propose des locations de sports nautiques (équipement de plongée, scooter des mers, voiliers) et des visites de la célèbre Sting Ray City à partir de notre quai. Beachcomb et de longues promenades sur notre immense plage. Regard Etoiles à partir de la station d'accueil Rum Point de nuit. Échapper occupé Seven Mile Beach et l'expérience de la paix et de la beauté naturelle de Rum Point. Paradise est ici. Douches d'eau douce dans la cour, une piscine avec spa, un centre de remise en forme, Rum Point Club et Restaurant à côté, Rum Point Dock de marcher sur l'eau peu profonde de l'océan pour les enfants, la plongée récif juste à côté de la plage, de belles fleurs et l'aménagement paysager, d'un blanc immaculé immense plage de sable pour de longues promenades et promenades sur la plage, des restaurants Île minutes en voiture, Georgetown commerçantes et musées à 45 minutes. Paradis. We thoroughly enjoyed our stay. The condo had everything that we needed in a perfect location with a variety of fabulous activities and restaurants within the immediate vicinity. The beautiful beach was literally steps away from this ground floor unit. We enjoyed breakfast and lunches on the screened in porch with an awesome view. The snorkeling was world class - we saw multiple sea turtles, rays, tropical fish and a nurse shark on the last day. Karen was wonderful to work with - very responsive , attentive to our needs, and spot on with recommendations . It was truly an unforgettable vacation! We recently stayed at the Retreat and had a great time. The house is as pictured and steps from the beach. We were pleasantly surprised at how well stocked the house was! We tend to mostly cook for ourselves and were super happy that the pantry was filled with staples (spices, olive oil, coffee, sugar etc). Kids had a great time snorkeling off the beach. We were also amazed that no matter how busy it got next door at Rum Point, our beach was super quiet. We would go around the corner and sometimes be shocked at the number of people over there. Highly recommend staying here if you are looking for the quieter side of the island. Thanks for your lovely review! I hope your kids saw our resident turtle and that snorkelers often see!!! Snorkeling right off the beach is such a joy, and can be done so easily and spontaneously. Makes Rum Point so special! We hope you return again!! We loved our stay! Karen has thought of everything you could need at this lovely villa. She was super helpful and quick to respond to any questions we had. We have stayed on Seven Mile Beach many times and staying here is a very different vacation. Never crowded at the beach which is right outside the door! Rum Point is right next door if you want a frozen cocktail! The noise from the restaurant in the evenings is a bit loud if you’re enjoying the evening from the villa’s screened in patio. Right now, the Caribbean is experiencing a lot of seaweed in certain areas which was a disappointment at the beach but nothing can be done about that. There is still great snorkeling! The pool area is nothing special at all. You should stay here for the sea and not the pool! Definitely recommend if you want a quiet relaxing vacation! And we would love to have you as our guest again! Thanks for your kind words!!! Retreat at rum point is an amazing place to relax and be Away from the hustle and bustle of seven mile beach. The Condo was clean and had everything you would ever need. It is home away from home. Great place to snorkel right off the beach and Amazing views of the sunset and easy access to the beach and coral. Picking up a car rental is an easy way to get around the island and explore on your own schedule. I’d recommend staying at retreat at rum point anytime. Thanks for your great review and kind words! 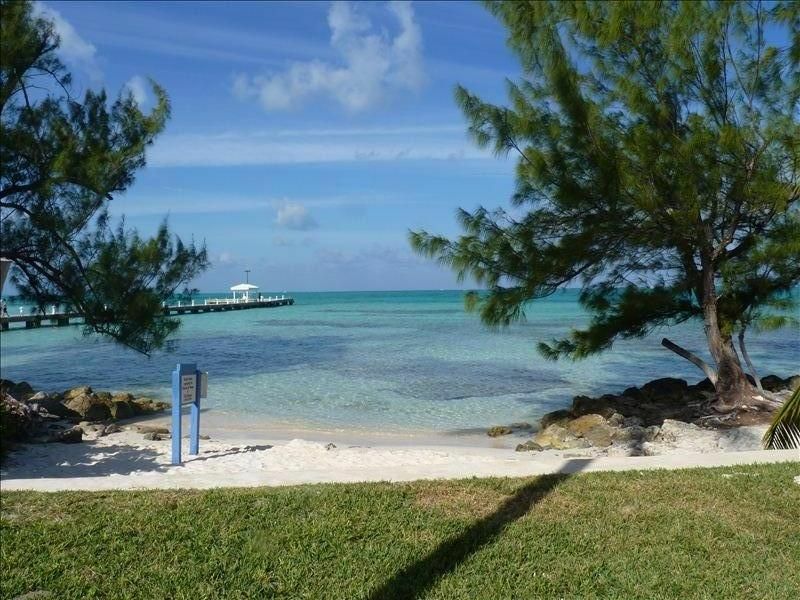 We are always so grateful that our guests love Rum Point as much as us, and feel like it’s a home away from home!! !